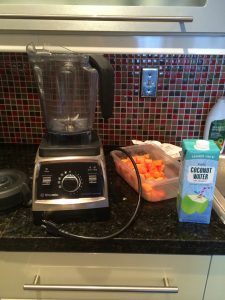 What a great combination: Papaya Pineapple Smoothie with coconut water. Sweet and delicious smoothie recipe! Papaya is rich in sources of antioxidant nutrients such as carotenes, vitamin C and flavonoids. It also contains the B vitamins, folate, pantothenic acid, minerals, potassium, copper, magnesium and fiber. Together, these nutrients promote the heart health and also provide protection against colon cancer. In addition, papaya contains the digestive enzyme papain, which is used like bromelain, a similar enzyme found in pineapple. It is used to treat sports injuries and allergies. 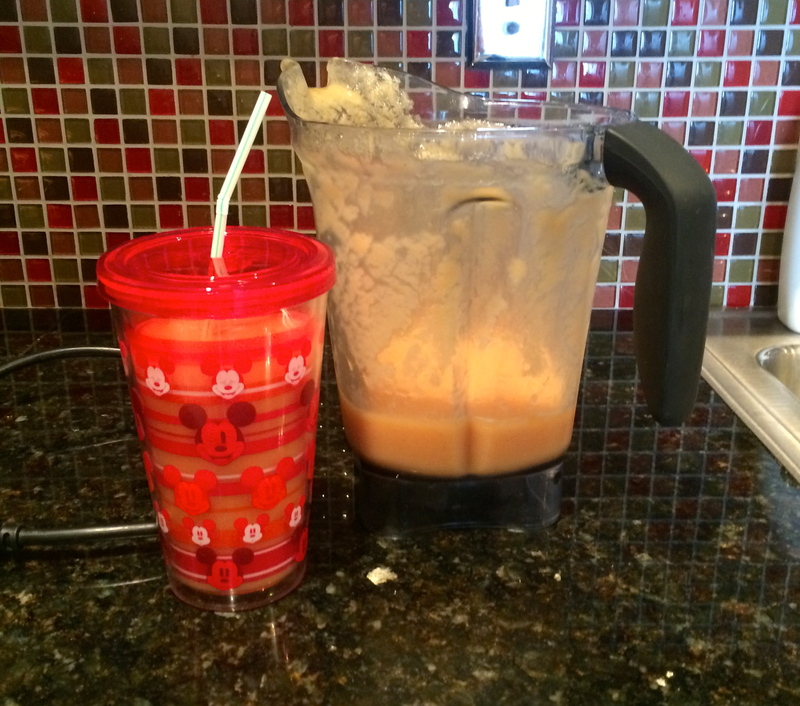 Papaya and pineapple promote digestive health! The ingredients in coconut water are way more effective at hydrating the human body than those of sports and energy drinks. It is also rich in nutrients and contains five essential electrolytes: calcium, magnesium, phosphorous, potassium and sodium. This is a very simple, quick and ultra-healthy recipe. Blend all ingredients, serve and enjoy! 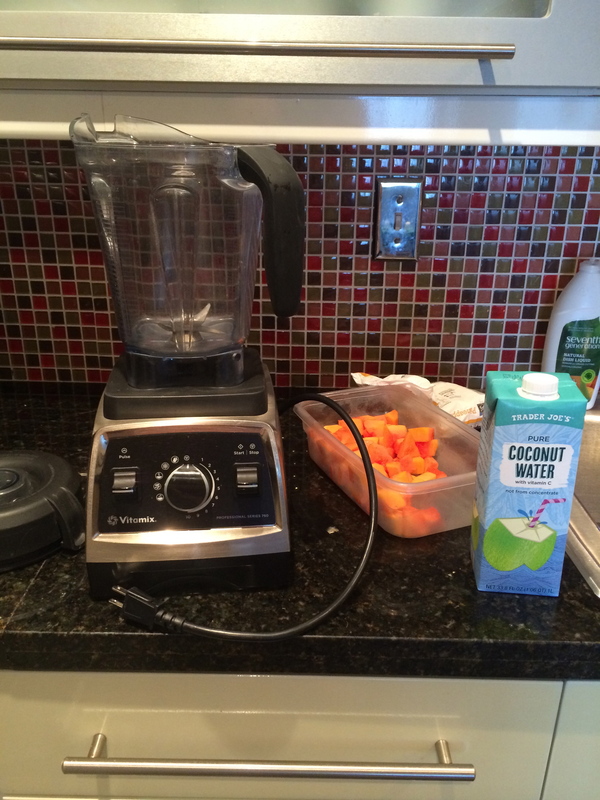 The blender I use is the Vitamix Professional Series It is really an amazing blender! You can make delicious ice pops with the blend too! My favorite molds are the Orka silicone molds. Perfect size for a toddler and very easy to clean. Enjoy!